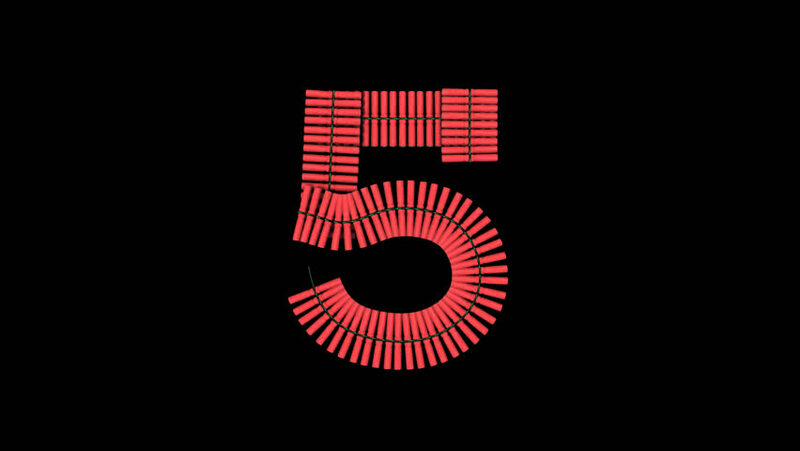 Chinese Fire Crackers - five Exploding Chinese Firecrackers in a number five shape. With alpha channels and shadows. Use multiple clips to create your own combination. hd00:14Chinese Fire Crackers - six Exploding Chinese Firecrackers in a number six shape. With alpha channels and shadows. Use multiple clips to create your own combination. hd00:14Chinese Fire Crackers - three Exploding Chinese Firecrackers in a number three shape. With alpha channels and shadows. Use multiple clips to create your own text. hd00:14Chinese Fire Crackers - one Exploding Chinese Firecrackers in a number one shape. With alpha channels and shadows. Use multiple clips to create your own text. hd00:09Red LED "Danger" turns in a circle on the right side of the frame. 4k00:20Knitting alphabet abc letter G in red color on white background. Christmas or New Year concept for banner, card, billboard, print or web site. 2D cartoon animation in 4K.